New Art in neon layers – BOBBY JAMES. It’s no secret that for the past year, I’ve been creating layered art pieces. I’ve wanted to play with textures and bright colors. In February of this year, I started thinking of art – and my life, really – in terms of bold color and choices. With this post, I present three bright and boldly colorful layered art pieces (click the images to enlarge). 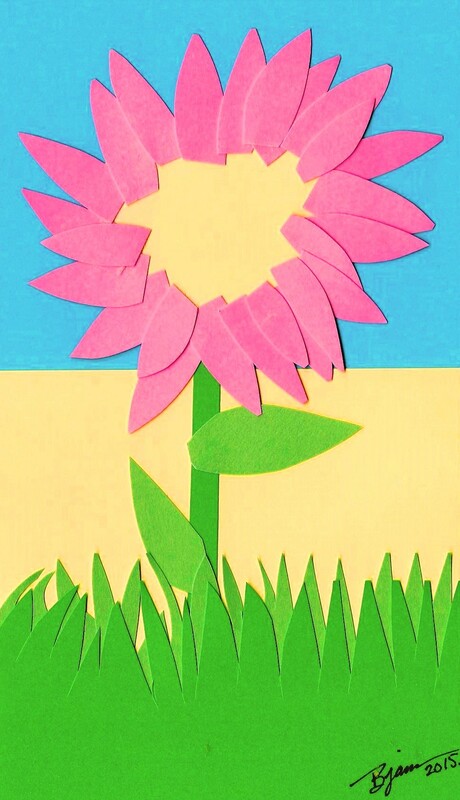 I created Mother’s Flower alongside my six-year-old Godchild Cody. Cody wanted to make a Mother’s Day card – and I had quite the idea. Showing him the way, he an I spent about thirty minutes free-hand cutting stems, leaves, petals, etc. Then, we put ’em together – and this is what we got. No ippity-boppity-boo necessary. Inspired by Mother’s Flower and The Little Prince, I created The Prince. 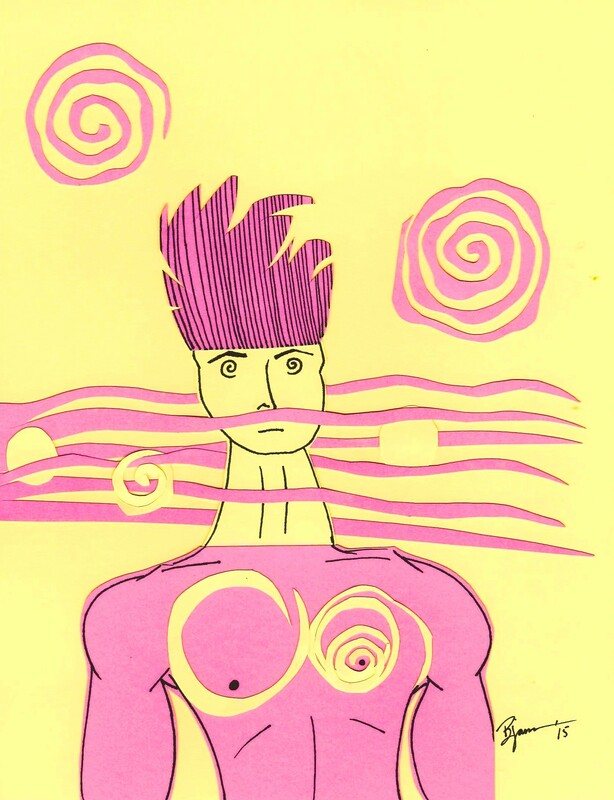 A slightly abstract piece, I wanted The Prince to be a bold and complimentary piece. Actually who am I kidding – you see the circle on the right pectoral? That circle was a left-over piece of paper from the Mother’s Flower. I designed The Prince entirely from that. Isn’t it amazing where the inspiration comes from? The result: I love it (especially the layering and color juxtaposition). Finally, I rounded out the trio with an elephant. Neon Jungle, like Mother’s Flower, was a freehand cut job that was pasted together to deliver the latest addition into my multi-year spanning series of elephant art. 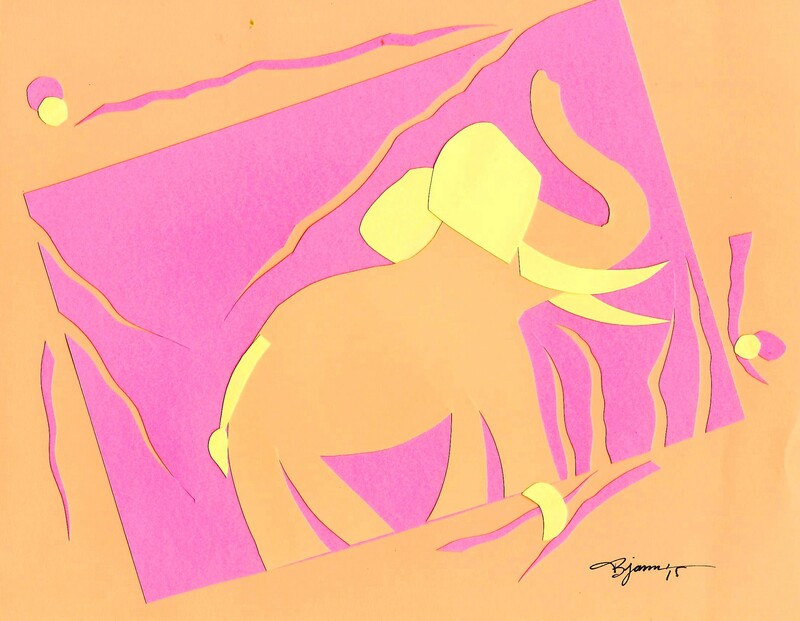 I love elephants – and the moment I have an idea to create and share an elephant piece, is a moment when art happens. I hope you like it! Visit The David Sheldrick Wildlife Trust to help save Elephants!